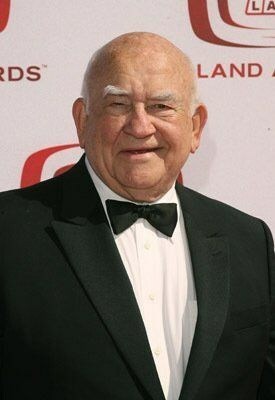 LOS ANGELES — Legendary Emmy®-winning actor and comedian Ed Asner, who has brought us laughter and entertainment for more than four decades, today announced the creation of The Ed Asner Family Center (TEAFC), dedicated to promoting self-confidence in differently abled individuals and bringing balance and wellness to those individuals and their families. A longtime advocate for the developmentally disabled and those on the autistic spectrum, Asner personally understands the challenges that Special Needs families face, and the healing power of a creative, loving environment. The center is currently fund raising for the flagship site in Los Angeles, the first of many branches nationwide, and will debut classes and programs in June 2018. The Ed Asner Family Center will be offering a wide variety of Arts programs as well as mental health support and de-stress classes such as mindfulness and yoga dedicated to promoting self-confidence and balance. Additional classes include music, dance, voice over, theatre, fine arts, culinary, resume building and job mentorship classes. The Ed Asner Family Center plans to offer various approaches to therapy. The center’s mental health programs are aimed at helping those experiencing depression, anxiety, worry, grief or anger management problems. These issues are much more prevalent with the addition of a special needs family member. Therapy is offered by licensed clinicians including marriage and family therapists, clinical social workers and other clinicians trained to help couples, families or individuals to address their ongoing needs. Family Counseling and Individual Therapy: This program is designed to help all family members in the special needs household, including grandparents or caregivers and typical siblings. The family will learn how to express their feelings comfortably, de-stress and find better ways to communicate with each other, to solve problems, be able to understand special needs and to address struggles in the home, school, workplace or in the community. By defining clear goals and ways to support those goals, clinicians work closely with all family members to encourage better communicators and focus on a healthier way of living for all. Sibling Group: This program offers support for the sibling of a special needs child. Often the siblings wonder why everything is focused on their brother or sister and not on them. They might feel that they don’t get enough time to do the things they want to do. Siblings may feel guilt or anger towards their brother or sister for always being the center of the parent’s attention. Participants will be able to express feelings through games and activities while attending group sessions as well as find comfort and support with likeminded peers. Enrichment/Vocational Programs: The Ed Asner Family Center will feature enrichment and vocational classes from some of the top established programs in the country and is proud to partner with Spectrum Laboratory, Autism Works Now, Autism Movement Therapy and The Miracle Project. For more information and sponsorship opportunities contact: Navah Paskowitz-Asner at Navah@edasnerfamilycenter.org.